Born in 1988 in Tochigi prefecture, Japan. 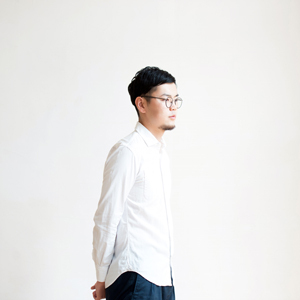 Yuma graduated from the department of design at Tokyo Zokei University and founded a design studio called yumakano, after working as an assistant to an artist named Yasuhiro Suzuki. Based its studio in a former shipyard from the mid-19th century located in Kawasaki-city right outside of Tokyo. Inspired by this environment, he works on product design and other projects including product planning, brand direction, interior planning, and producing artworks. We aim to form a society where everyone is creative and happy, by discovering new qualities and adding values to the elements found in universal matters that are contained within everyday life, expanding the concept and possibilities of design.